Born in 1948, a country boy from Dubbo, N.S.W. Australia who came to Sydney in 1963. Pursued a career in banking from 1966 to 1979. He met his soul-mate, Cheryl, in 1966 and they were married in February, 1970. 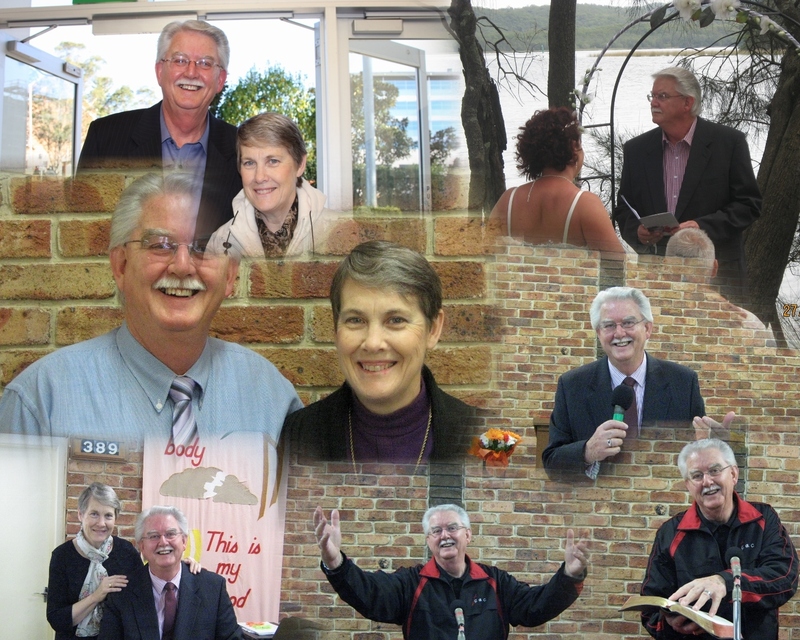 The Lord called him to full-time ministry in 1979, having previously served as Director of Evangelism at the Penrith Baptist Church from 1977, before accepting the position of Assistant Pastor in 1979 with that Church. Sensing a further call of the Lord he joined the ministry of the Grace Bible Church, a small non-denominational work, as Assistant Pastor & since 1981 has been the Senior Pastor. He is committed to the clear expositional teaching & preaching of the Word of God in his pulpit ministry each Sunday & in the mid-week Bible Study Group that he leads. In recent times some of his more evangelistic sermons have been aired over radio (WOW FM 100.7) as part of the “Grace to You” Program on Sunday mornings. He & Cheryl have resided in Penrith since 1970. They have 3 married sons & 7 grandchildren whom they love dearly & enjoy being with immensely.